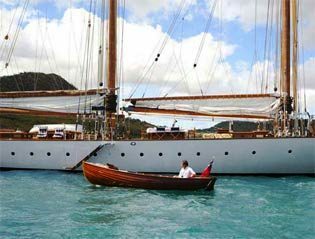 The graceful sailing yacht ELEONORA was designed by naval architect Nathaliel Herreshoff and built by Van Der Graaf shipyard of Holland. She was launched in 2000 and underwent an extensive refit in 2008. 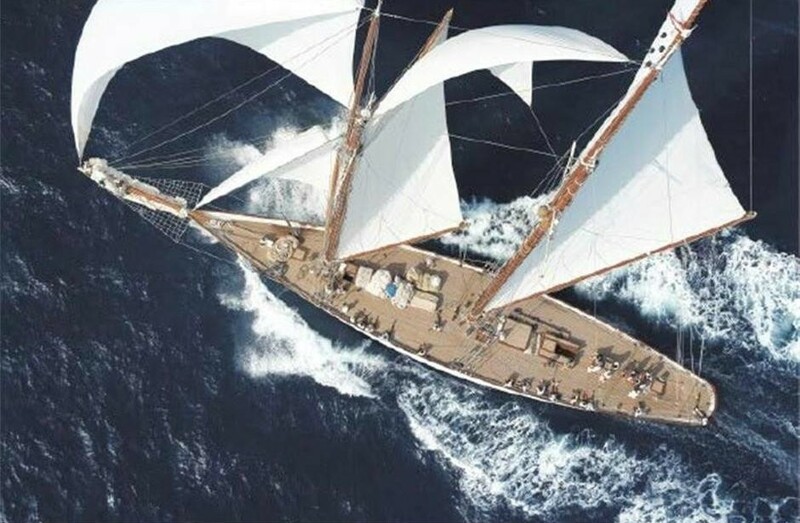 Schooner rigged ELEONORA is a replica of the famous WESTWARD which was launched in 1910 and has a colourful history of notable guests and an exemplary racing record. 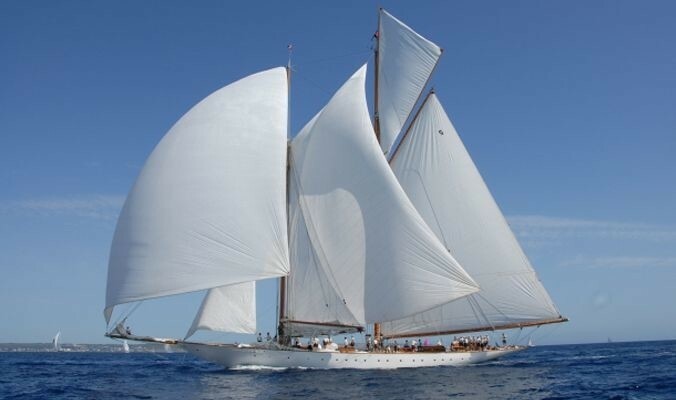 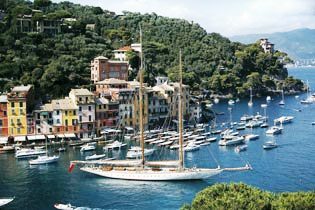 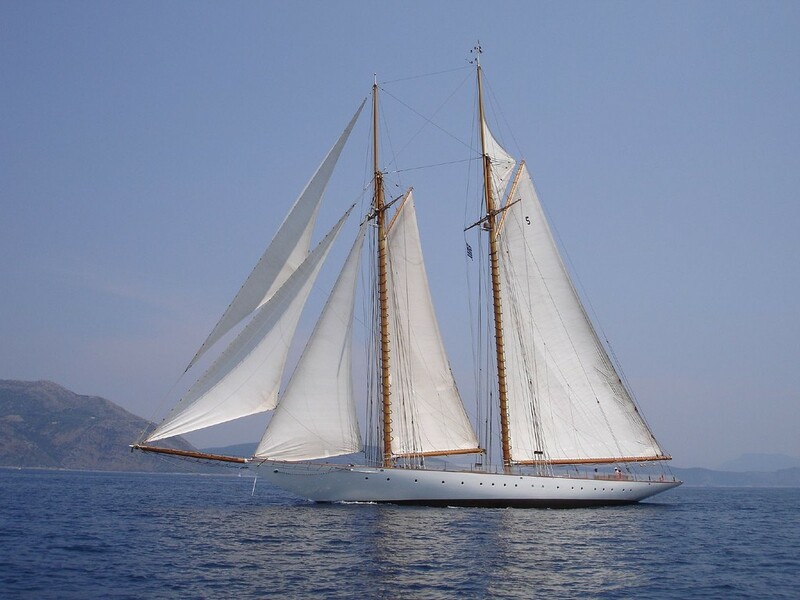 S/Y ELEONORA can accommodate up to 8 guests in 4 spacious cabins and is available for charter in the West Mediterranean. Charter yacht ELEONORA depicts an era of timeless elegance and style both on decks and below, her classic sweeping lines measure a total 49.5m (162.4ft). 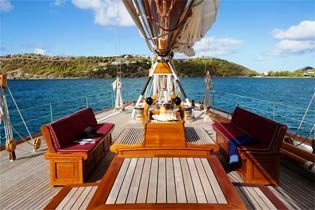 S/Y ELEONORA is capable of 9 knots cruising powered by 1100 square meters of canvas and up to 10 knots powered by one 460Hp Baudouin engine. 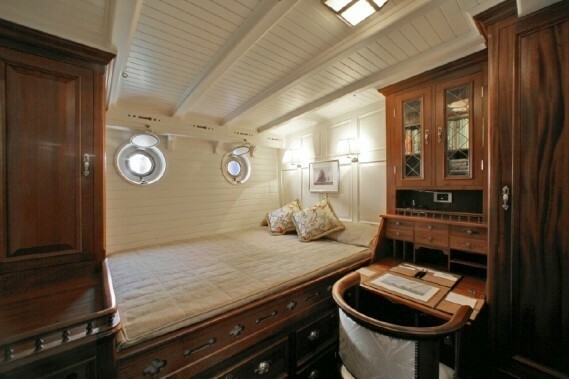 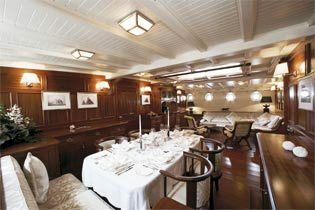 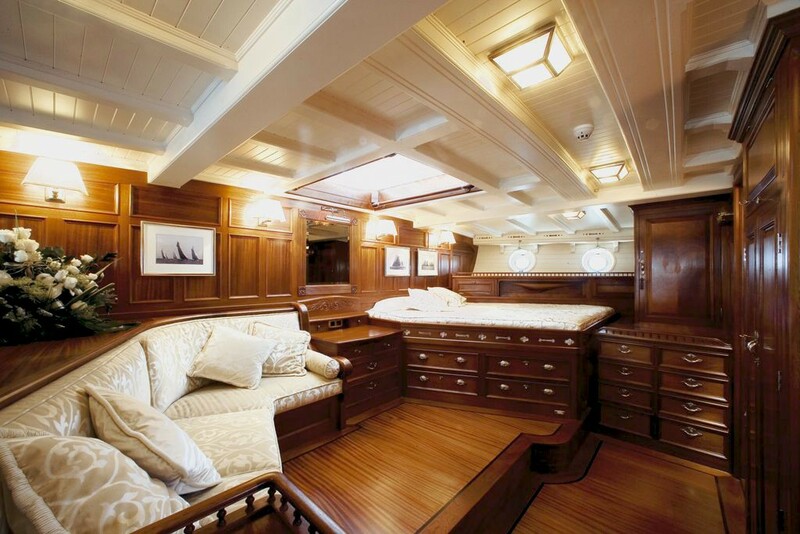 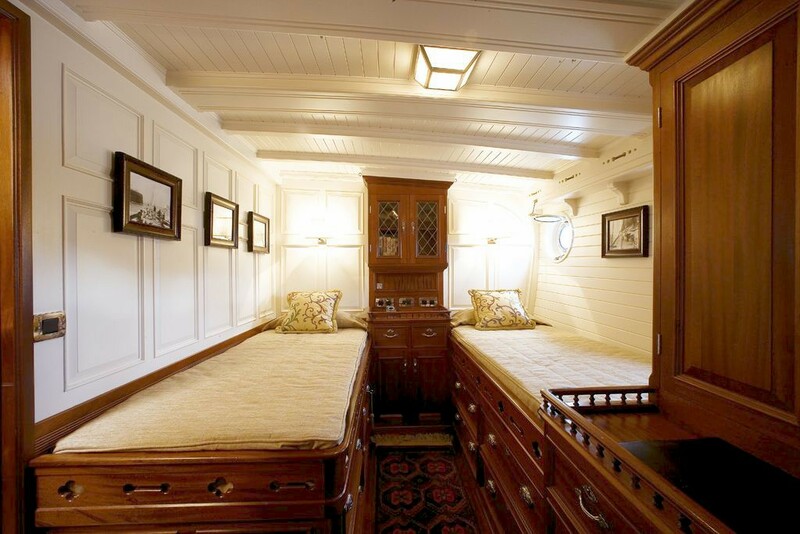 Below decks yacht ELEONORA is light and airy thanks to the many traditional port holes and large hatches. 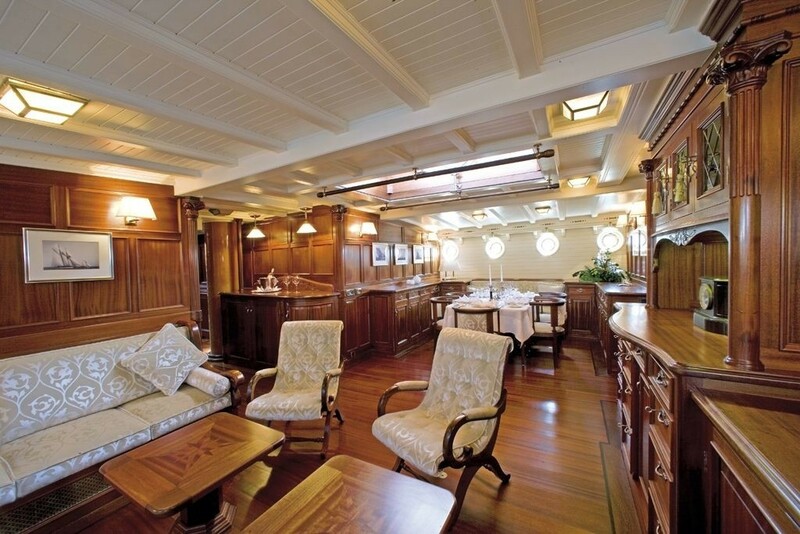 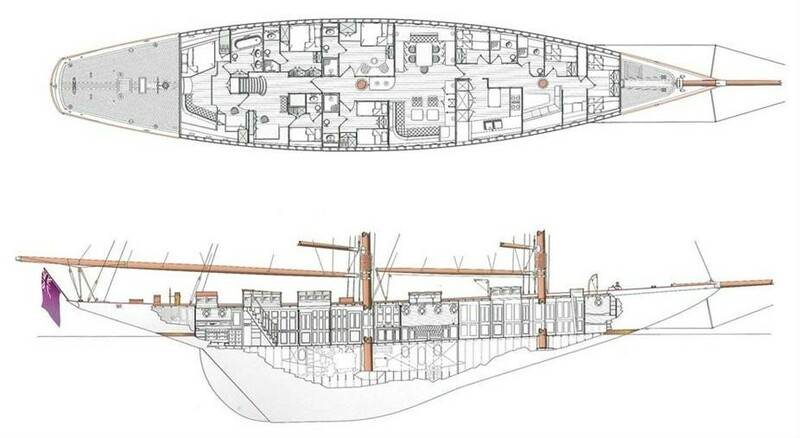 The salon and dining is full beam amidships in an open plan. The décor is minimalistic yet deeply elegant, overhead pure white beams are authentic of a time gone by, the soft furnishings are neutral and beautifully compliment the warm toned wood panels, fine nautical art is prevalent throughout the yacht. 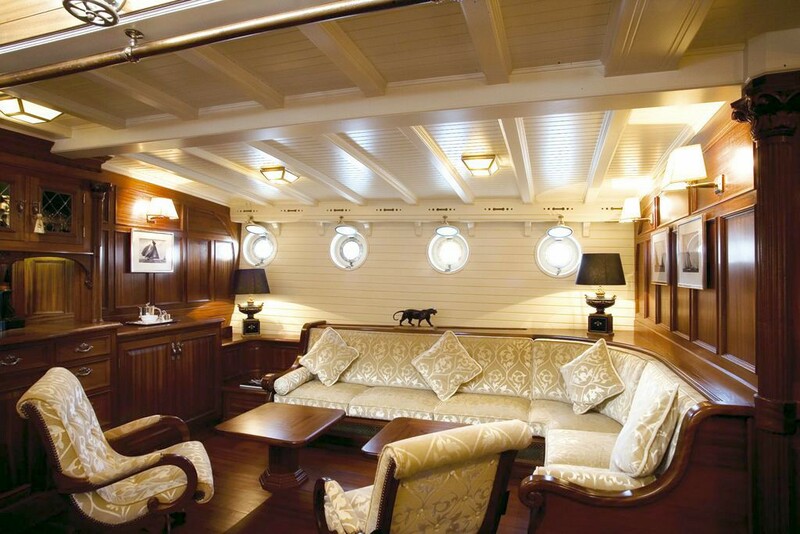 In keeping with the times, S/Y ELEONORA offers a state of the art entertainment system in her salon. 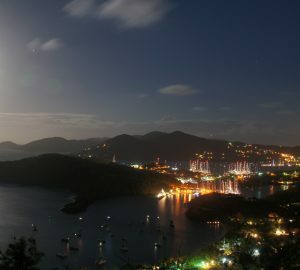 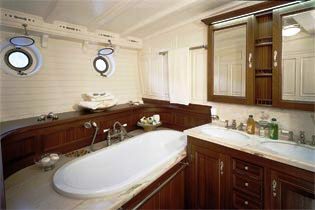 All guests’ accommodation is aft of the salon area, maximizing cabin space. 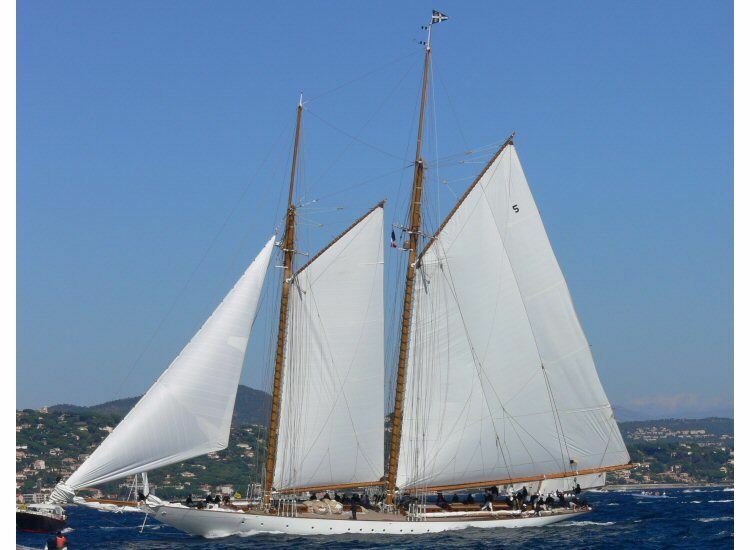 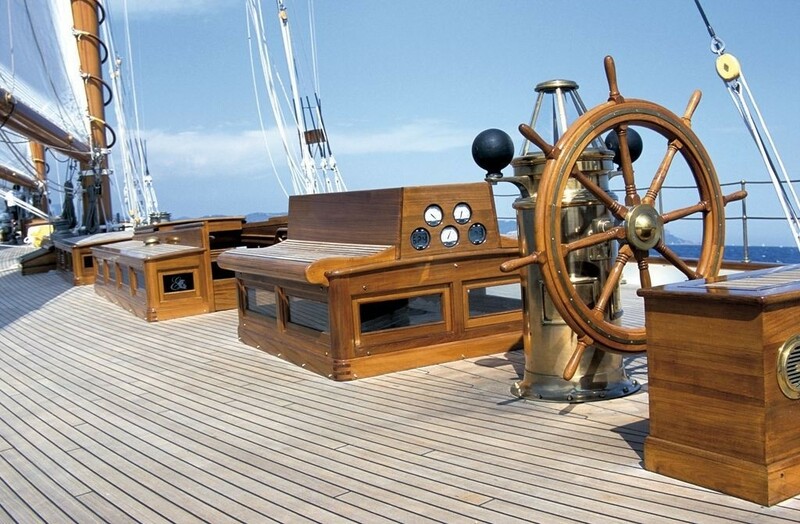 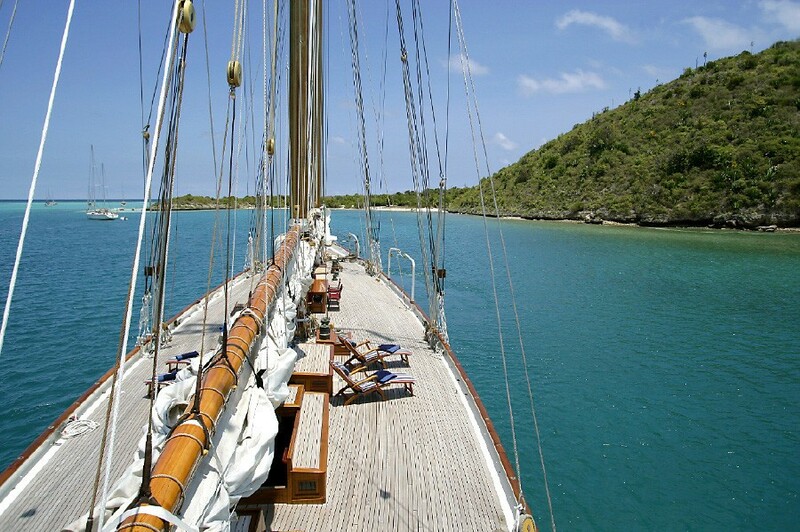 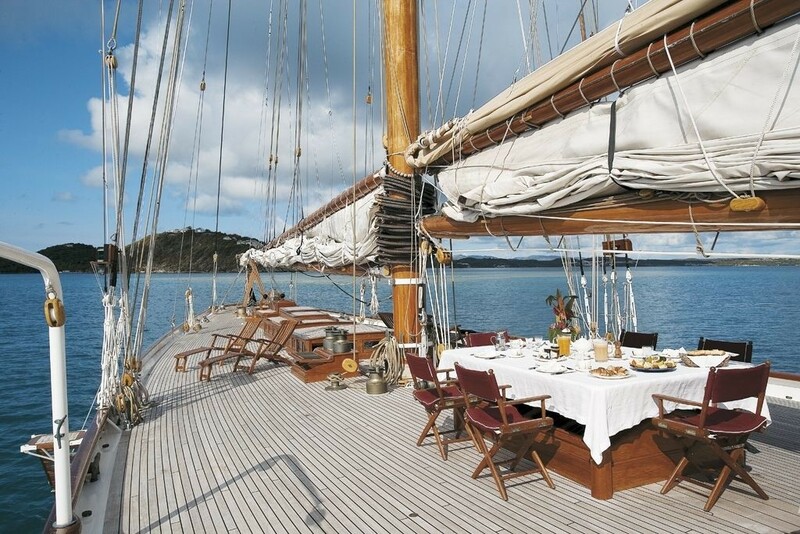 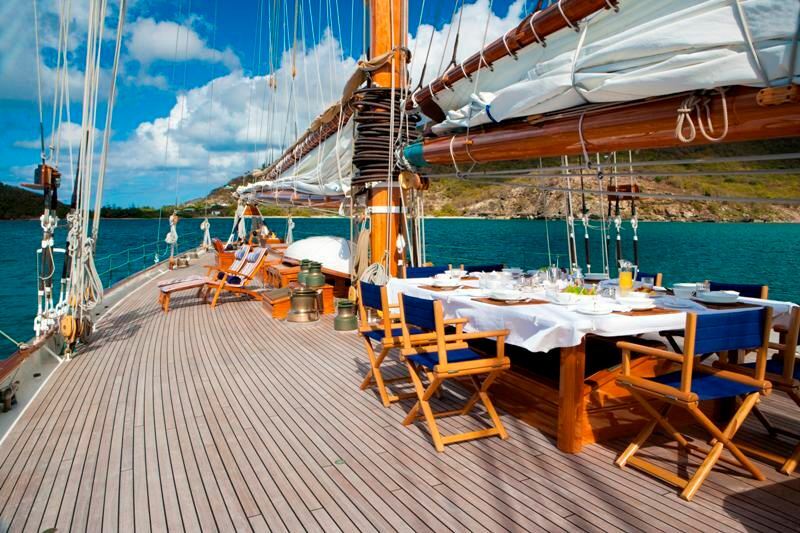 Classic sailing yacht ELEONORA boasts ample wide uncluttered teaks decks, ideal for relaxing. 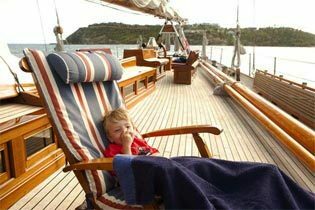 Aft, guests may enjoy comfortable seating just ahead of the helm and binnacle, or simply choose one of chaise lounges with a book. 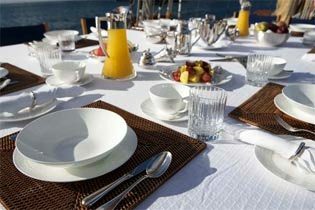 Forward and amidships a full alfresco dining table awaits guests flanked by deluxe director style chairs and offering an optional Bimini cover. 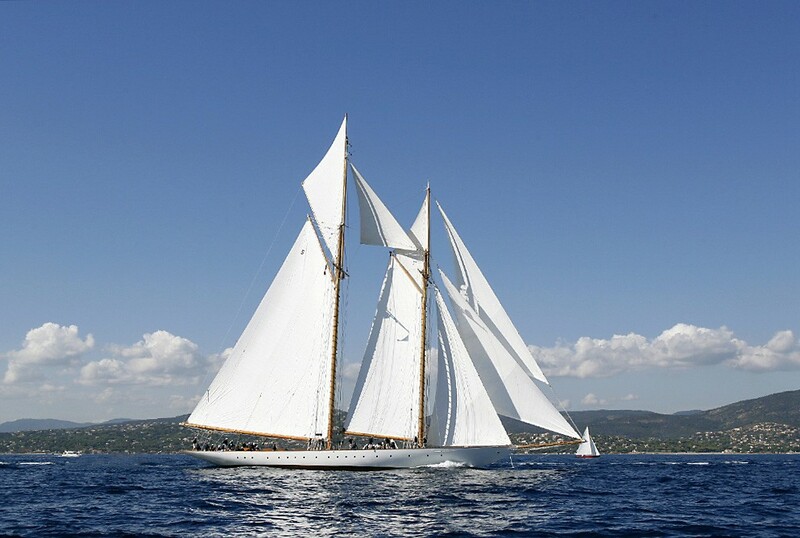 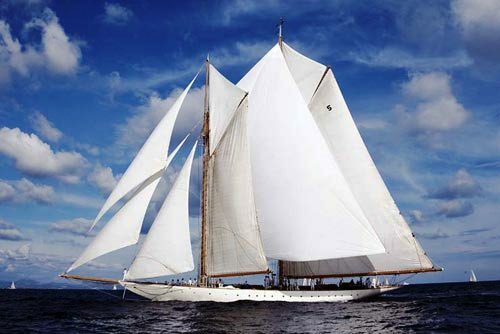 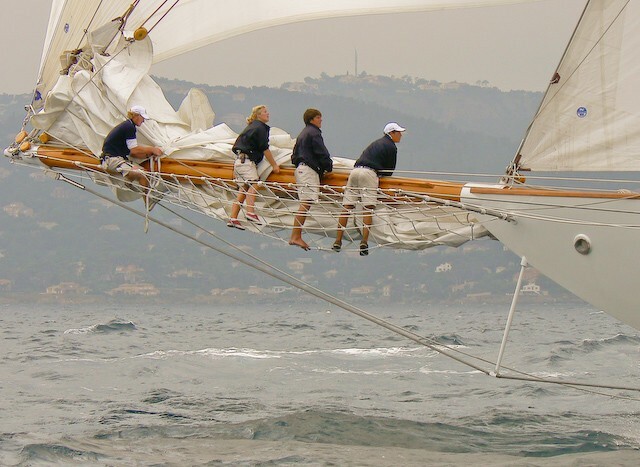 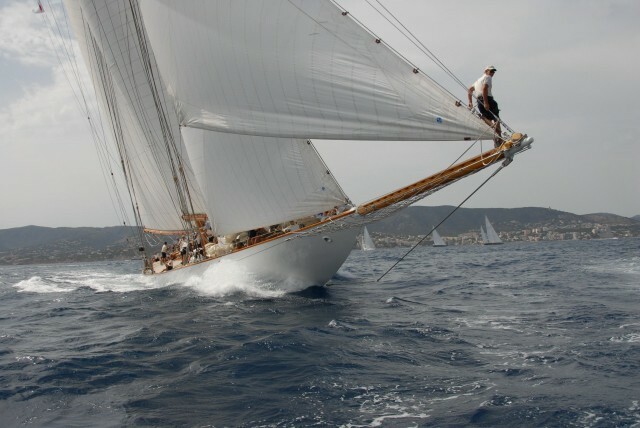 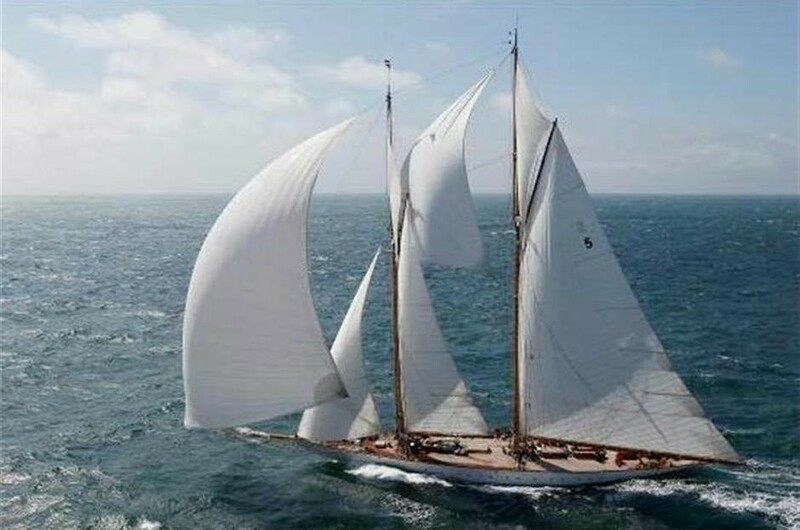 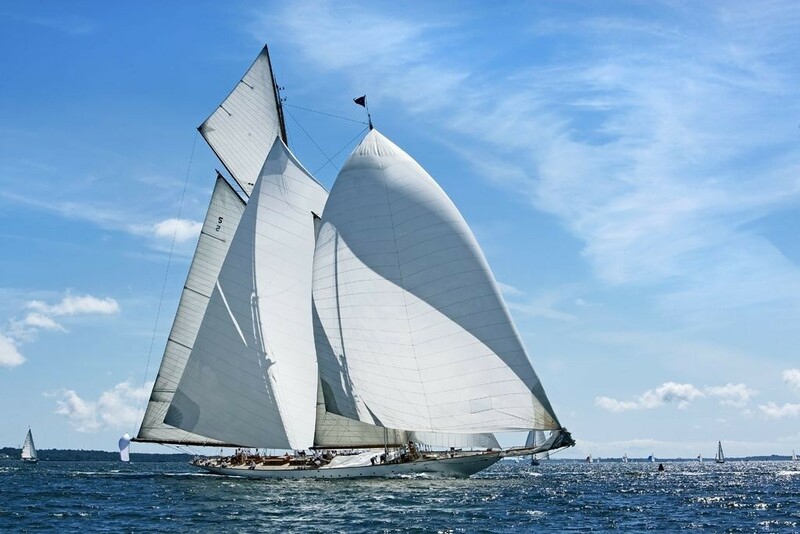 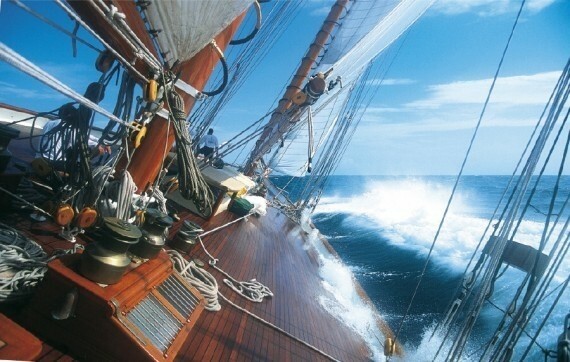 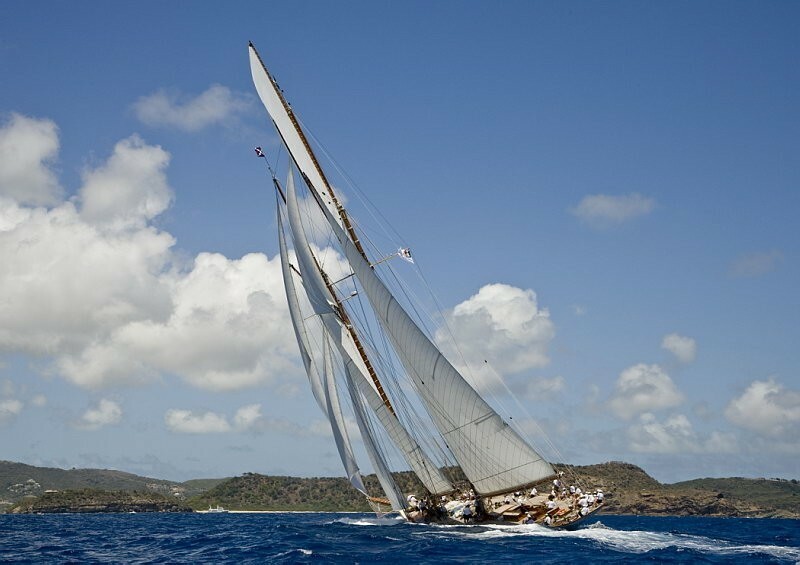 The gaff rigged schooner ELEONORA has a beam of 8.2m (26.9ft) and a draft of 5.2m (17.1ft). 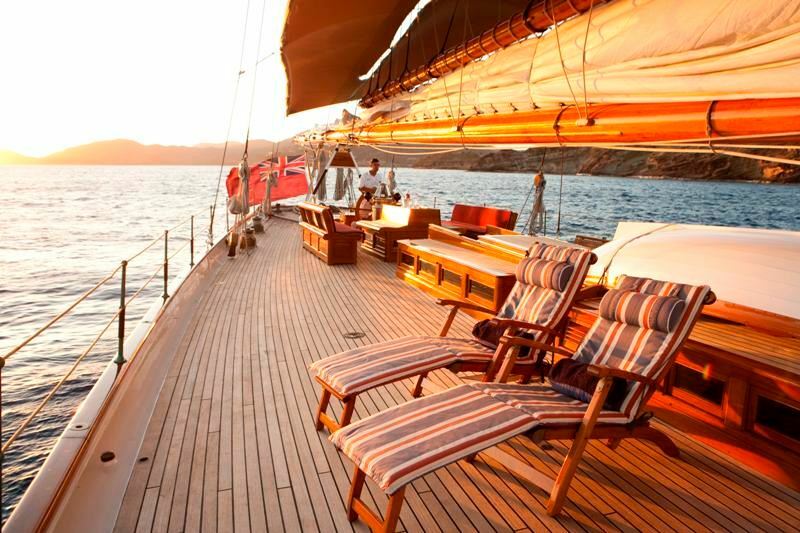 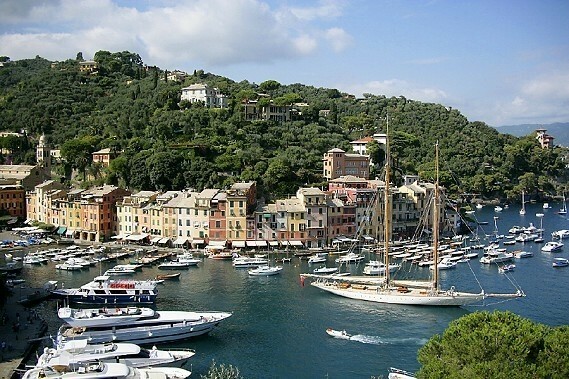 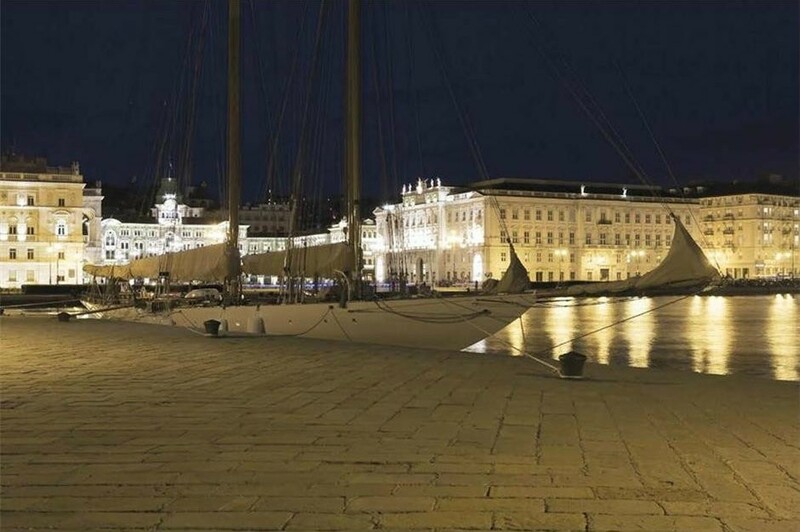 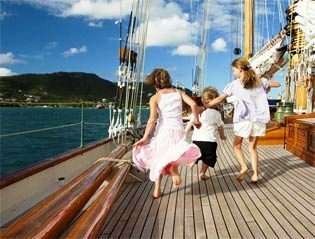 Luxury sailing yacht ELEONORA has 4 generous cabins for up to 8 guests. 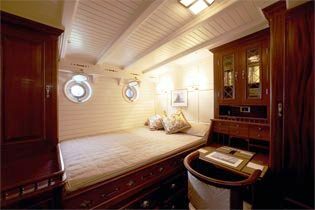 The master cabin is aft and full beam of the yacht featuring a double bed, lounge / office space, wardrobes and en-suite facilities with tub and shower. 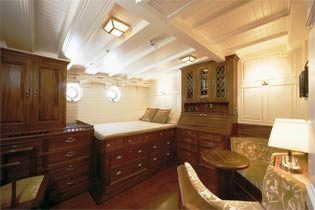 On the port side are 2 cabins with double beds, desk / vanity, wardrobe and en suite facilities with shower. To starboard is a twin cabin with 2 single beds, wardrobe, desk / vanity and en-suite facilities with shower. 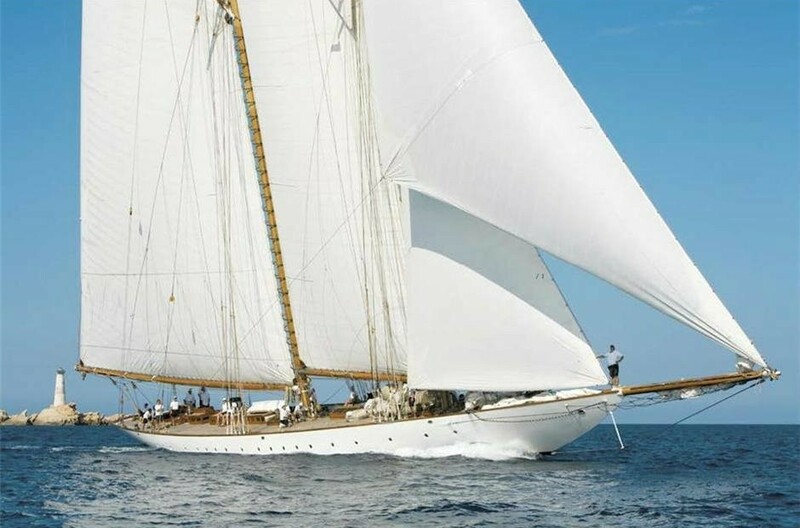 Classic yacht ELEONORA has the following extras and amenities onboard: Tenders + toys: Tenders: - 4.60m White Novamarine RH460RIB with a Yamaha 60 HP outboard for 10 - 5.00m Classic mahogany tender with electric motor for 8 (Beam: 1.70 m) - 3.70m Classic wooden rowing tender for 5 (Beam: 1.50 m) Toys: - Snorkelling gear - Fishing Equipment - WaterskisCommunications - SatCom Tel & Fax - Internet access, Wifi - Radar, GPS, VHF, Navtex receiver, Icom SSB receiver Audio Visual Equipment and Deck Facilities Audio Visual Equipment: - Flat screen TV, DVD, Hi-fi in saloon - CD Player in Master suite Deck Facilities: - Huge sun awning which covers the entire Guest area. 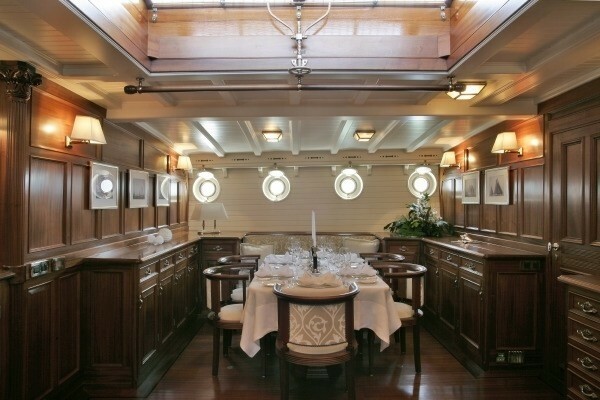 - Large dining table for 8 located amidships and sun armchairs complete the deck equipment. 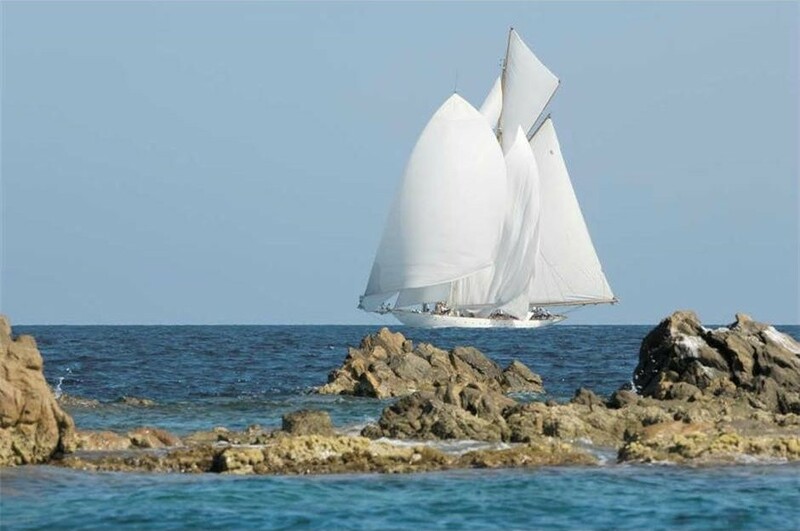 ELEONORA - Relaxing after a Swim!